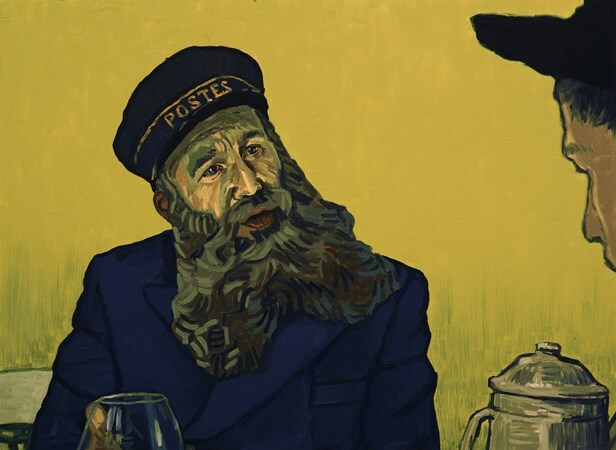 With his collaborator and wife, Dorota Kobiela, Loving Vincent co-director Hugh Welchman digitally paints an incredible picture of Vincent van Gogh. But these two didn’t just tell an intriguing and intimate mystery since it is set a year after this painter of visually stunning images had killed himself. 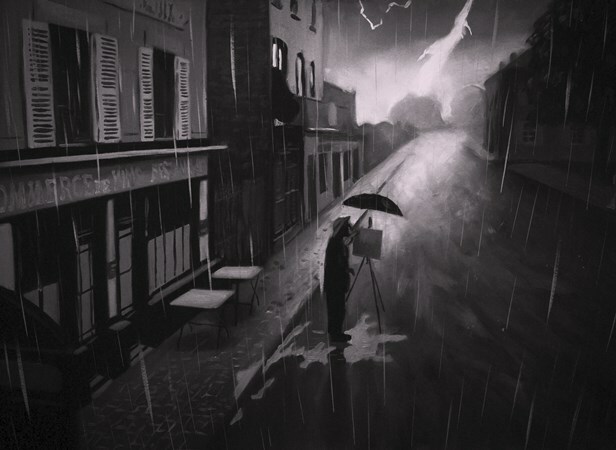 They decided to take the live-action footage they shot on digital cameras – which had been performed by experienced actors – and reproduce every frame as an oil-painting and then make it into an animated film. A huge team of painters rendered this series of images, thousands in fact, to be transformed into the feature as it is seen today. 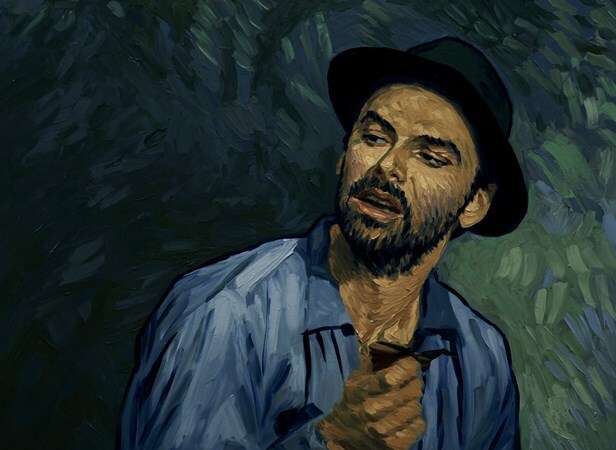 Besides the Ripley’s Believe It or Not construction of Loving Vincent, it had to tell a valid narrative using top-flight actors to make it all work. To do that, these two turned to such world-class talent as Chris O’Dowd, Saoirse Ronan and Aidan Turner to bring alive a set of people in van Gogh’s life who had never had the cameras turned on them much until now. A graduate of Poland’s Academy of Fine Arts in Warsaw, Kobiela discovered animation and film, directing a live action short, and five animated ones – including 2011’s “Little Postman,” the world’s first, and, to her knowledge, only, stereoscopic painting animation. It won her the Stereoscopic Best Short Film at the LA 3D Film Festival, 3D Stereo Media (Liege), 3D Film & Music Fest (Barcelona). 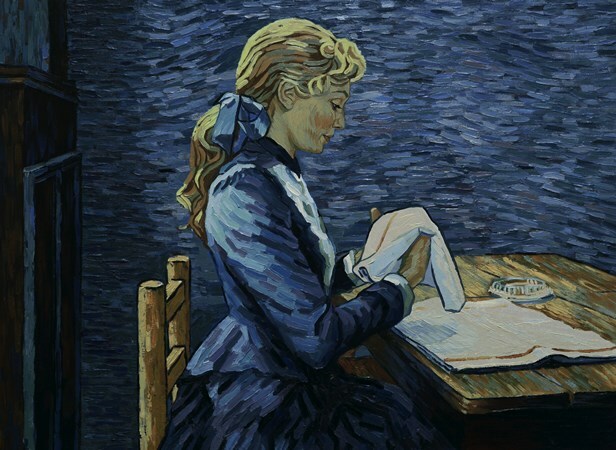 For her sixth animated short, “Loving Vincent,” Kobiela rendered a passion for the painter into a film where she intended to paint it entirely by herself. As she expanded the idea into a feature, she realized the task was so daunting that she had to direct 95 other painters to make her full-length film debut. 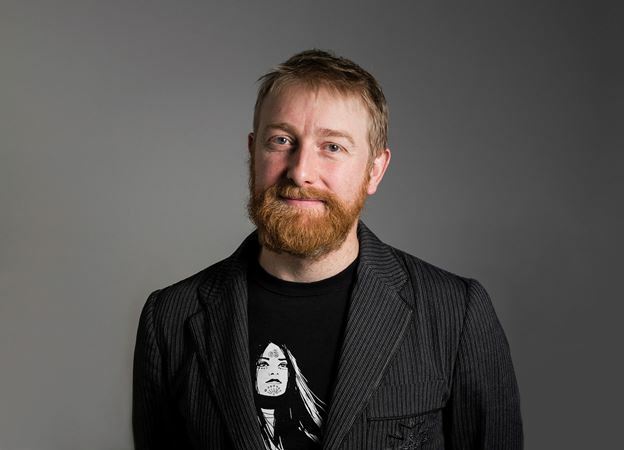 Thankfully, Welchman, who has had experience in working on features, brought his own insights and skills to bear. Of course, the subject had to warrant such an enormous effort. In the story and work of Vincent van Gogh there’s just that material. His work so impacted on visual communication that he spearheaded a revolution. The Dutch artist – along with Frenchmen Henri Matisse and Paul Gauguin and the Spaniard Pablo Picasso, among others – redefined modern painting through a profound rethinking of visual statements. As some of the 20th century’s benchmark artists, these creators were responsible for many significant paintings, re-conceptualizing the use of materials, shapes, color and process of creation. 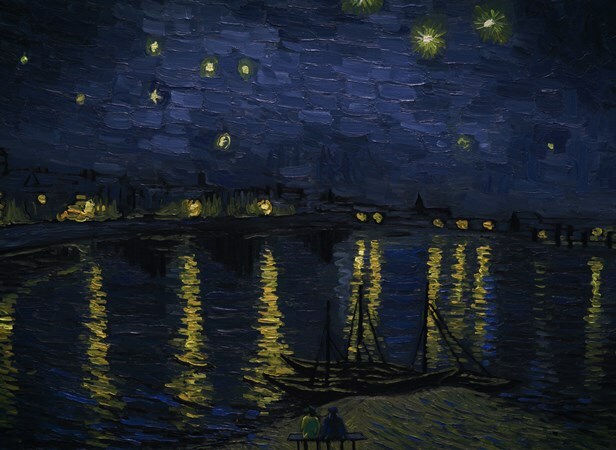 Van Gogh also made a profound statement on how painting can be experienced. Though an intelligent, sensitive man, he suffered from what’s now called bi-polar disorder, had a sad childhood in a bourgeois family, and was a social misfit. From his earliest drawings on, he showed immense talent and over time used his unique brush techniques to create a huge body of work for such a short life – he committed suicide at age 37. As to the notion of what drove him to shoot himself – he died several days later because the wound wasn’t initially fatal – there were many questions as to whether he really wanted to die or just hurt himself, and was he allowed to die through either neglect or something more insidious? In response to such concerns, Welchman and Kobiela devised a story which brought together many of the figures in the troubled artist’s life and the subjects of many of his greatest and most profound paintings. Taking place in France, the summer of 1891, Armand Roulin (played by Douglas Booth) is given a letter by his father, Postman Joseph Roulin (Chris O’Dowd), to hand-deliver to Paris to Theo van Gogh, brother of Vincent, who, they’ve just heard, killed himself. Armand isn’t pleased with the mission, because he was embarrassed by his father’s friendship with Vincent, a painter who had cut off his ear to give to a prostitute and had been committed to the asylum. There’s no trace of the brother in Paris. His search leads him to paint supplier Pere Tanguy (John Sessions), who tells him that Theo died shortly after Vincent, apparently distraught over his death. 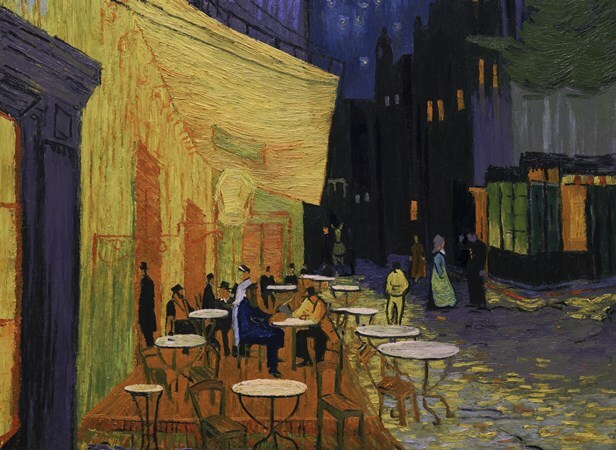 That leads Roulin on further adventures and interactions with key figures in Vincent’s life – which had resulted in many of his landmark images. 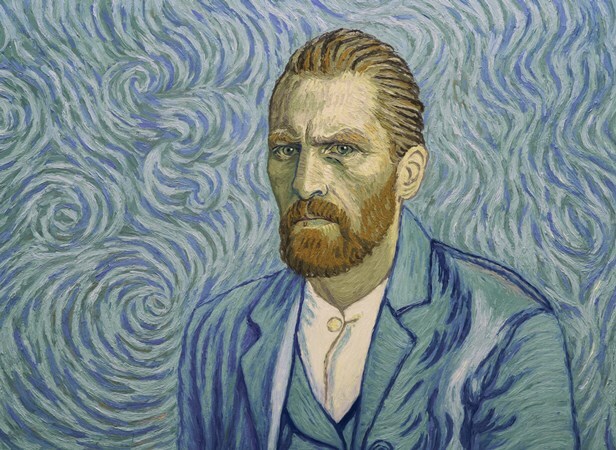 But in order to do a film as unique as this one, he and his wife had to survey many of van Gogh’s paintings and become deeply familiar with those that the general public knew and championed – and many more. That seemed like a daunting task in and of itself, for these directors not only had to find the paintings, they had to figure out how they would fit into the story. Then they had to assemble a legion of them to make the images. To do that, it was like putting together a really difficult jigsaw puzzle. “We had to take into account all his famous paintings. The list of faves had to be included but they also had to relate to the dramatic events in the story. Many did not relate, so we had to go back and forth on what we should use, since the film was only going to be 90 minutes long. That was a really small amount of time. Even though he had his short life in the nine years he was painting, he made a lot of them. Still, it is pretty amazing what they did get in. There are 94 paintings that are featured in a form very close to the original. There are a further 31 paintings that are imposed in the film substantially or partially. 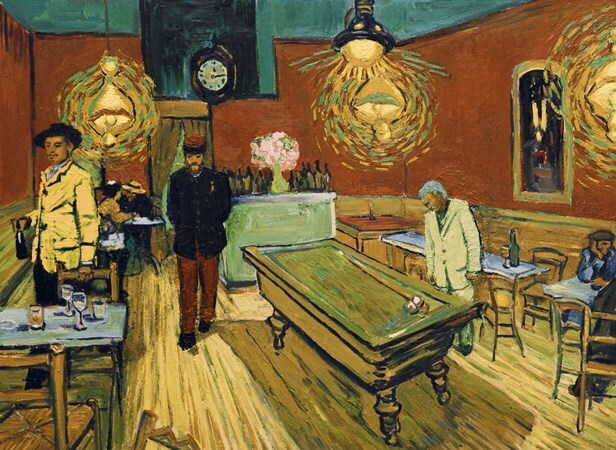 Van Gogh’s paintings come in various shapes and sizes, so the painters had to work out how to best show them within the frame set by the cinematic format. That required that they break outside the frames of the actual paintings, while still retaining the feel and inspiration of Vincent’s originals. So, after a much-complicated process that bring these images onto the screen, audiences see 65,000 high-resolution photographs of actual oil-paintings. Copyright ©2017 PopEntertainment.com. All rights reserved. Posted: October 4, 2017. Photos © 2017. Courtesy of Good Deed Entertainment. All rights reserved. Tags: Alain Resnais, Amsterdam, Armand Roulin, brad balfour, Chris O'Dowd, Dorota Kobiela, Douglas Booth, Henri Matisse, Hugh Welchman, John Sessions, Joseph Roulin, Kirk Douglas, Little Postman, Loving Vincent, Lust for Life, Maurice Pialat, Pablo Picasso, Paul Gauguin, Pere Tanguy, PopEntertainment.com, Theo van Gogh, Van Gogh, Van Gogh Museum, Vincent van Gogh. Bookmark the permalink.